Give your dog support and comfort with a luxurious orthopedic dog bed designed to aid in the relief of aches and sores associated with age. 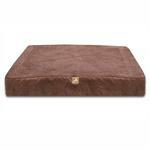 We think your dog will love the extreme comfort and relief this bed offers. 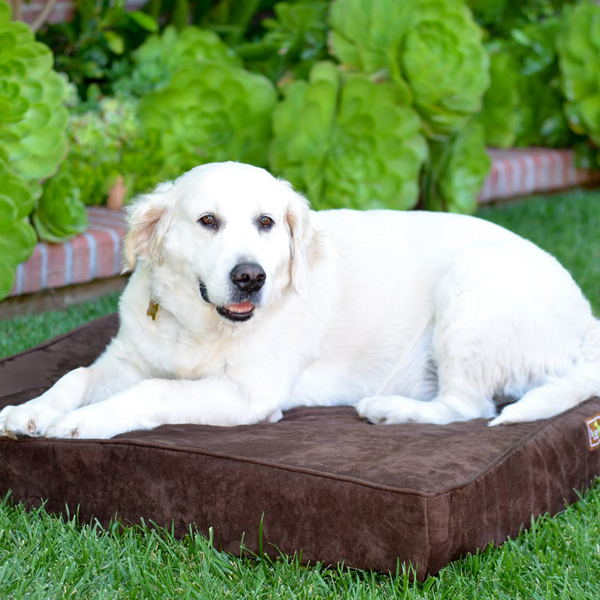 The Luca Orthopedic Dog Bed in Chocolate can be used by all dogs but was especially designed for big dogs and dogs who suffer from arthritis, hip, and joint problems. Luca's signature sheet cover is tailored with elastic to fit securely under the four corners of the bed for a smooth finish. 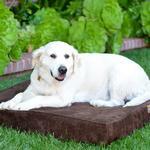 Luca for Dogs strives to stop landfill waste by creating pet bedding that can last for years. For this reason, they have chosen fabrics that get softer with each wash. The stylish dog beds from Luca for Dogs will fit nicely into any home decor! Posted On 12/01/18 by CJ from Dallas, TX Yes, CJ recommends this product! My older 60 lb. standard poodle grabbed this bed immediately and loves it. It is not fancy or beautiful, but serviceable and very easy to take apart and wash and put back together. So glad I ordered it! Posted On 05/22/16 by Cijai B from , AZ Yes, Cijai B recommends this product! Orthopedic EX Large dog bed. Posted On 01/11/16 by patricia e from San Francisco, CA Yes, patricia e recommends this product! We are really pleased with BOTH beds!! My only other wish would be that they had a back and sides. I love BaxterBoo and I was very happy to see the Fruitables treats that my dogs love were back in stock. The selection of merchandise is awesome and the prices are reasonable. I also appreciate the sales. I did have a slight problem with the checkout. The quantity of "2" that I'd typed in for 2 of the items showed up as "1" when I got to the end & I didn't see a way to go back to change it, so I left it that way. Other than that, the shopping experience was perfect. I also love the newsletters & always open & read them.